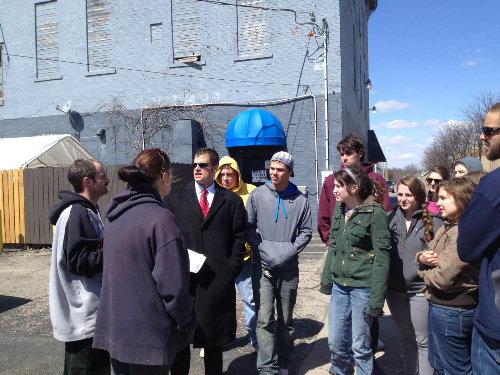 Andy Wilson talks to a Wittenberg University class about crime mapping. 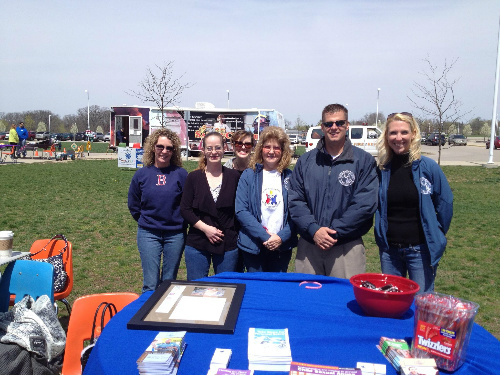 The Prosecutor's office at the 2013 Victim Rights Fair. 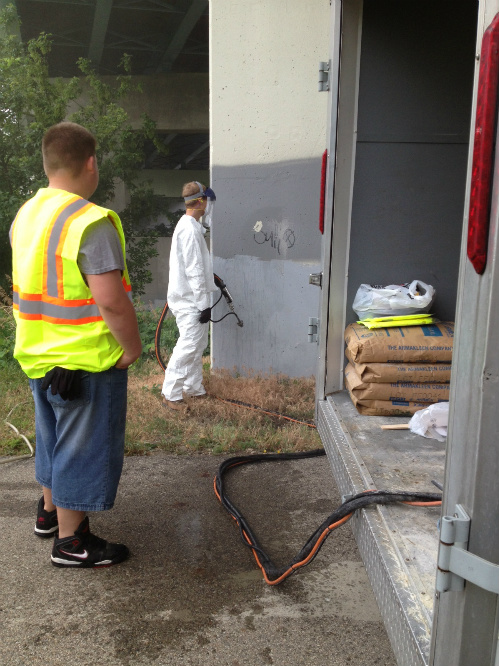 The Prosecutor's office Graffiti Eradication Program in action. 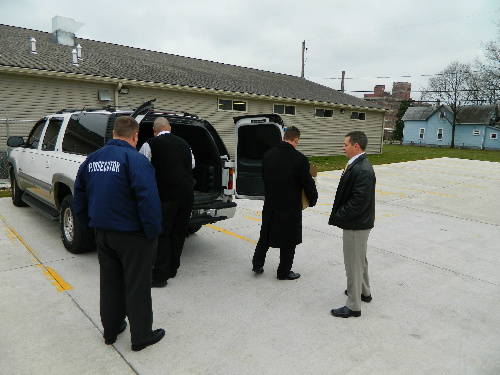 Clark County Prosecutor's office staff carry donated food items into a local food pantry. 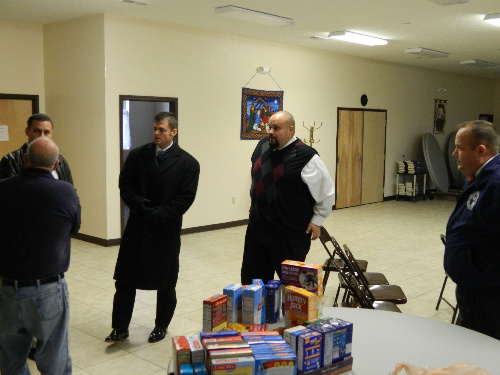 Clark County Prosecutor's office staff donating food to a local food pantry. 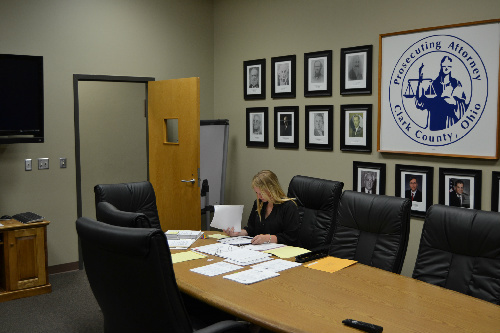 An intern hard at work in the conference room. 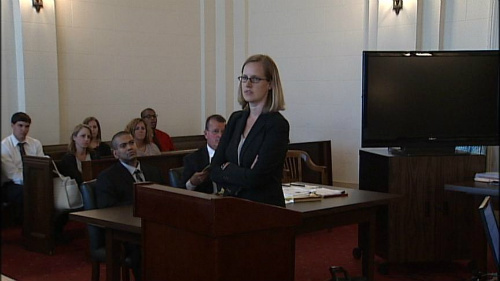 Assistant Prosecuting Attorney Amy Smith in trial. 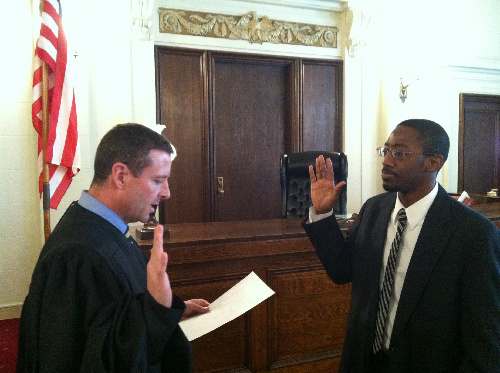 Assistant Prosecuting Attorney Thaddius Townsend's swearing in ceremony. 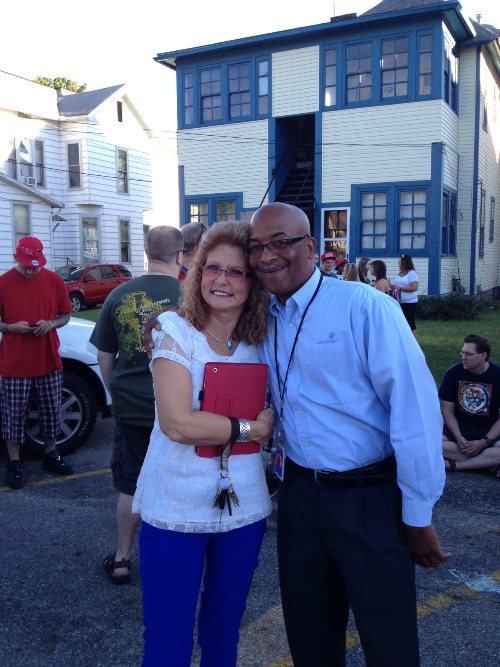 Andy Wilson and Debi Segrest-Adams at the memorial vigil for homicide victim Kayla Mongold. Amy Smith receives the first annual Chrysalis Award from Project Woman for diligence in the fight to end domestic violence. Debi Segrest-Adams at Schuyler Mullett's memorial service with Rick Scott Se. Andy Wilson speaking to a high school assembly. 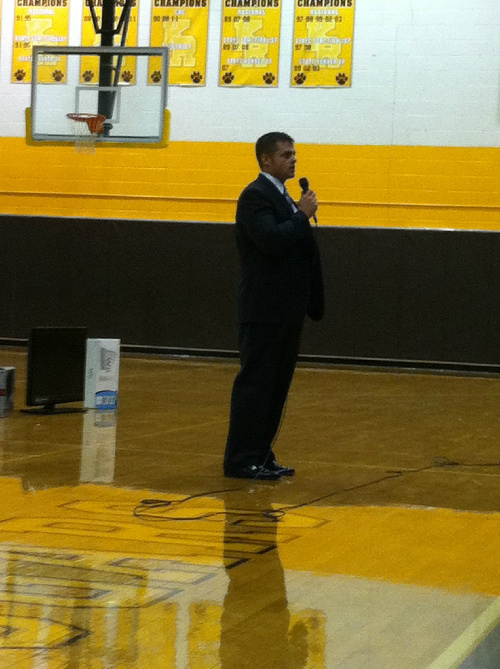 Prosecuting Attorney Andy Wilson speaking at a high school about prescription drug abuse prevention. 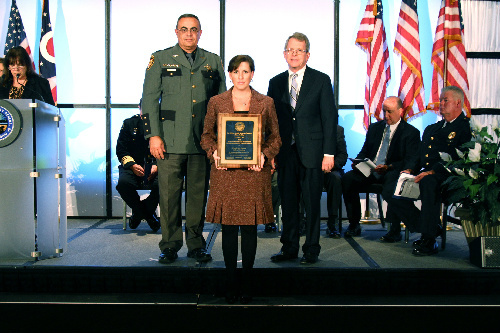 Danielle Smoot is awarded the Distinguished Civilian Leadership Award. 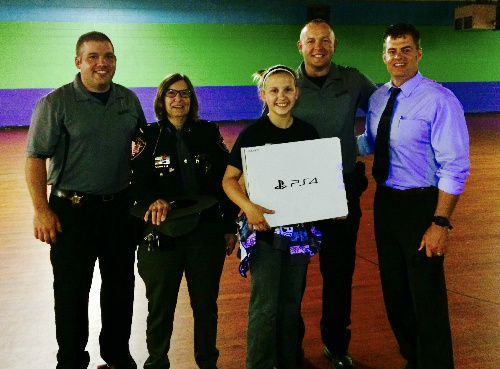 Danielle Smoot is awarded the Distinguished Civilian Leadership Award by Ohio Attorney General Mike DeWine. 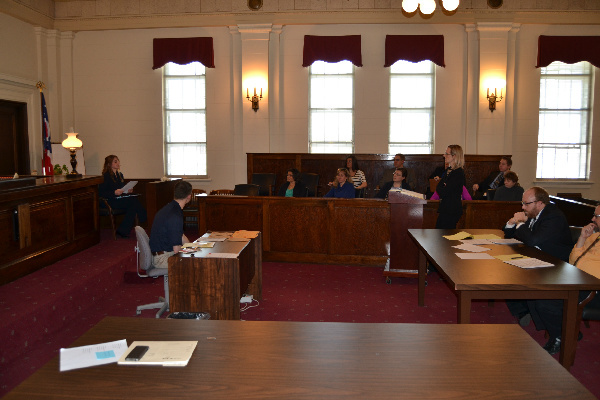 Identification and Investigation with hands on courtroom training. 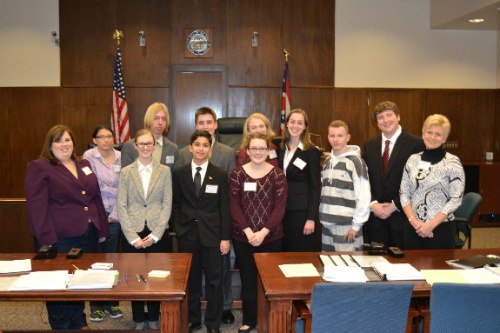 Megan Farley helps coach the Springfield High School Mock Trial Team. 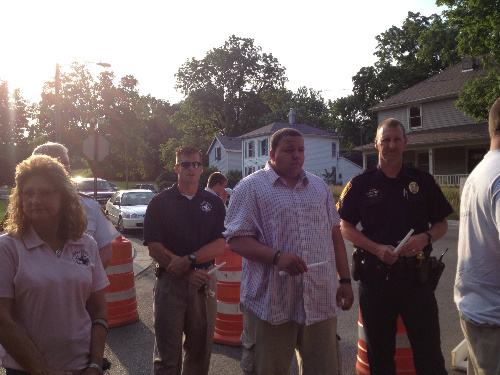 Robyn Smith and Debi Segrest-Adams of the Victim-Witness Division respond to a homicide scene. 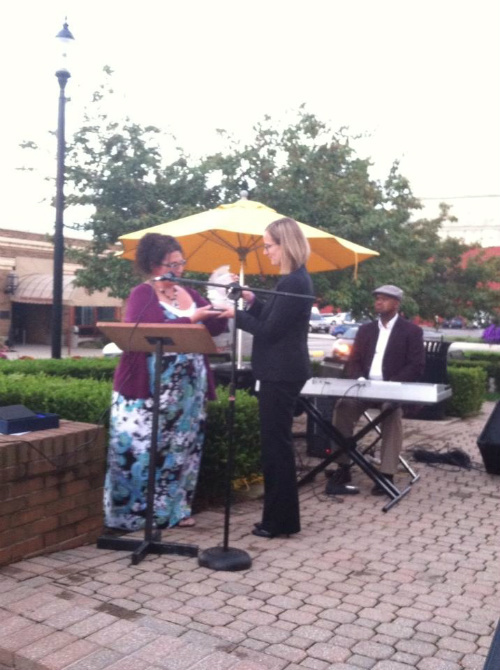 Former assistant prosecutor Darnell Carter receives a Meritorious Service award. 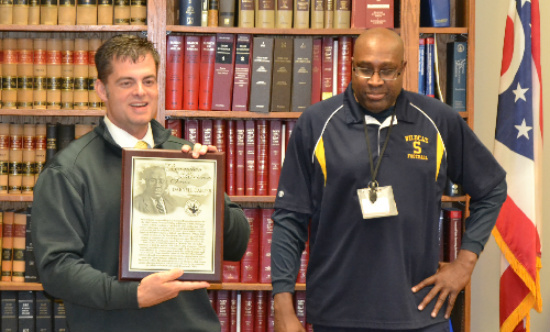 Meritorious Service award for his lifetime of work with the Clark County prosecutor's office. 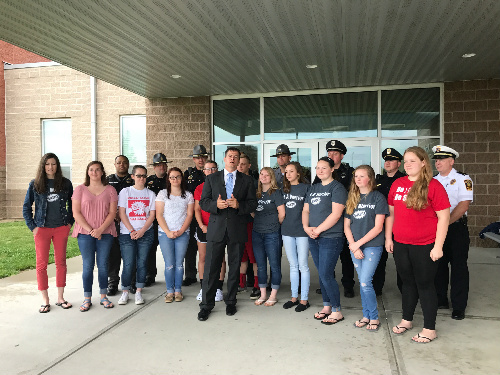 Prosecutor Wilson supporting the "Click it or Ticket" campaign. Special Assistant United States Attorneys. 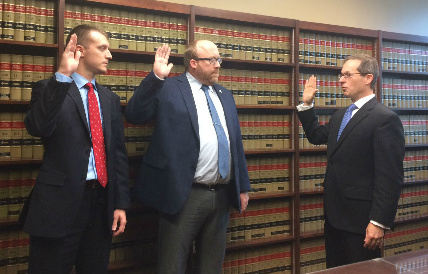 This represents a continuing partnership between the office of the United States Attorney for the Southern District of Ohio and the Clark County Prosecutor's office. 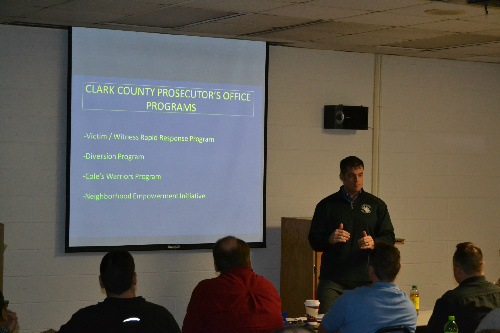 This partnership allows for gun cases, drug cases, and child exploitation cases that happen in Clark County to be screened for prosecution in Federal Court. 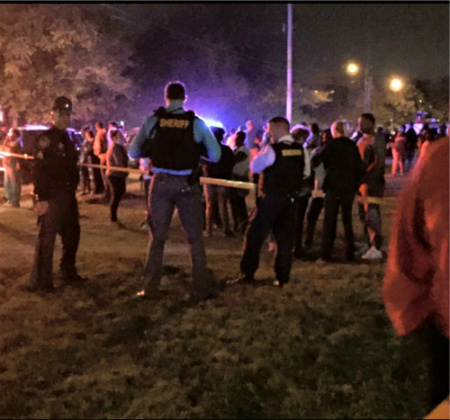 Andrew and Ryan will be responsible for screening these cases, and, if they are accepted for federal prosecution, they will handle the case in the United States District Court for the Southern District of Ohio. This partnership is another tool that allows us to aggressively prosecute the most dangerous offenders in our community.